Nasko has been back home from the hospital for just over two weeks now. We know the prayers of all our people are making a huge impact because we have had no issues with rage since he has returned. Praise God! When friends text me for an update or see us in public, I usually say that Nasko is still just as impulsive and just as speedy, but somewhat less dangerous. He continues to make most of his decisions based on fear and absolutely does his best when he knows exactly what is coming. As I write this, he has just completed his last day of school for the school year. He has been finished with school for only a few hours, and I have already recited our entire summer's schedule, at his request, six times. Nasko seeks routine and predictability. For more than five years in the orphanage, stability provided him with a (false) sense of safety. Top his PTSD behaviors off with autism, and you have one regimen-loving child. Late last week, Nasko was looking out the back door of our farmhouse when he spotted a raccoon. 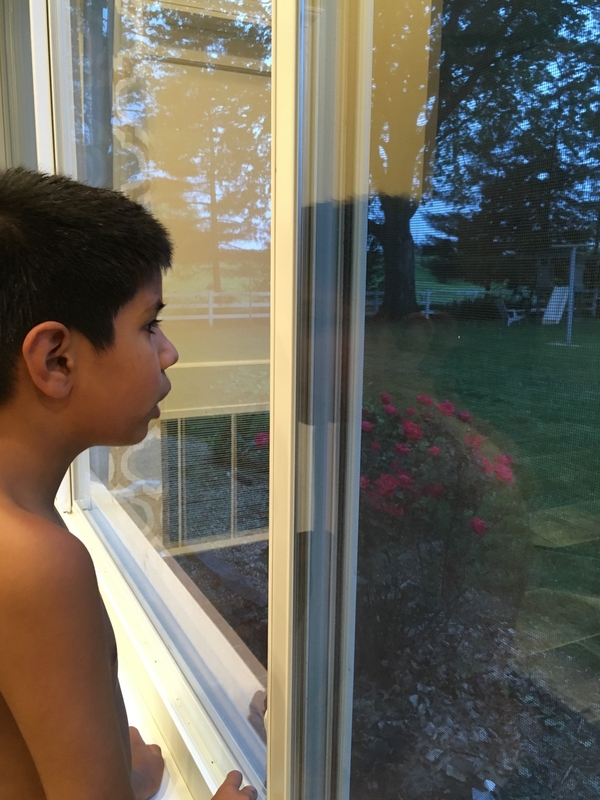 Chance and I had seen raccoons a few times since we moved, but they had not been close enough for the kids to spot. Chance and I were cleaning the kitchen after supper, but Nasko called everyone over to watch the "groundhog" (kill count up to five – two being while Chance was in his suit and tie). We corrected his animal identification and then joined him at the window. Nasko asked to go outside to chase the groundhog raccoon. Chance explained that raccoons can be very mean to people when they are scared. He said that Nasko shouldn't chase them because we don't want him to get hurt. Of course, Chance and I grew tired of watching the raccoon, so we eventually turned back to our previous projects. Within two seconds of not having our full attention, Nasko was out the door, tearing across our yard. The poor raccoon saw our Bulgarian Blur speeding towards him, so the varmint took off, ducked, and covered. Neither the raccoon nor the Bulgarian were injured. Every night this week, Nasko has waited for our daily routine to mirror the night he spotted the groundhog raccoon. 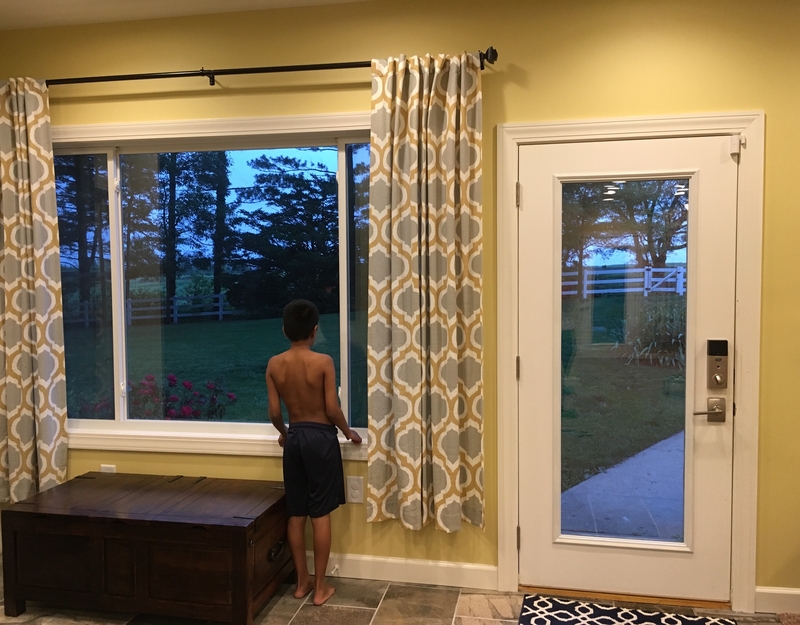 As soon as supper is over and we begin cleaning the kitchen (never mind if it's 5:45, 7:30, or somewhere in-between) Nasko runs to the window and looks for his "friend." Because the raccoon has not returned demonstrating his preference of a highly-structured routine, I think we can safely say that he does not have autism. But, if you had seen his face of terror as our European chased after him, you'd also assuredly diagnose him with PTSD. Thanks again for joining us in carrying Nasko before the Father. We know the next ten days before summer school begins (and as we travel for Chance's job) are going to be difficult for our little man, but we're leaning on God during these difficult days.